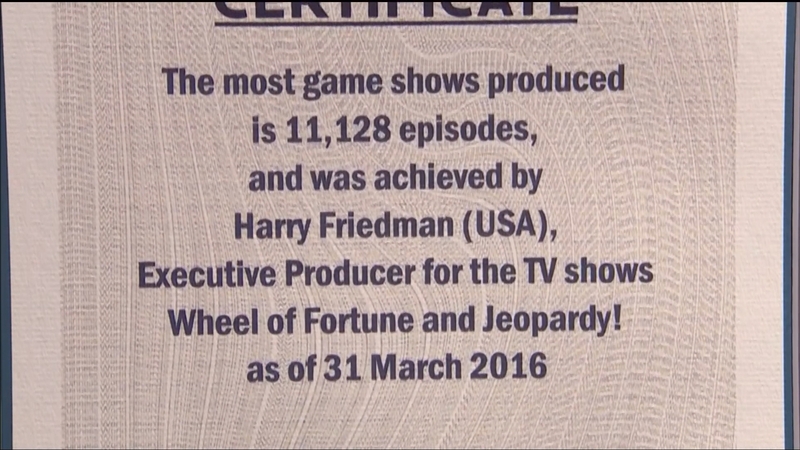 Casey Desantis of Guinness World Records presents Harry Friedman with a framed certificate recognizing his producing record: "The most game shows produced is 11,128 episodes, and was achieved by Harry Friedman (USA), Executive Producer for the TV shows Wheel of Fortune and Jeopardy! as of 31 March 2016". Erin Who is Oscar Wilde?